Oil paints can be applied in thin washes, stains and glazes, or in thick impasto marks. 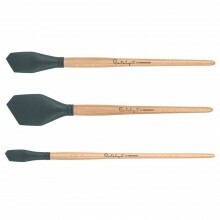 We have every kind of oil painting brush to suit all kinds of oil painting technique. From hog to sable to synthetic.